Sept. 30 was the deadline for Congress to reauthorize the Healthy, Hunger Free Kids Act — the school lunch law. Congress didn’t do so. Here’s what that means, why it matters, and what could happen next. Legislators concerned about obesity and hunger passed the Healthy, Hunger Free Kids Act in 2010. It amended the original school lunch law from 1945, providing more money for food and setting stricter nutritional standards. It also provided some support for schools to tap into local food systems. Michelle Obama and the School Nutrition Association — a group representing cafeteria workers and school lunch coordinators — championed the bill. But the SNA and Obama have turned from allies to foes as they differed on interpreting the law’s mandates. The SNA has said that the law’s requirements for reducing salt and increasing whole grains are so strict that some kids have stopped eating the lunches, while Obama’s team has argued that we need to take bold steps to improve America’s diet. Congress blew past the deadline — what happens now? Nothing! The funding for the existing programs will continue, and the deadlines for meeting the law’s requirements will stand as they are. The reauthorization deadline is basically a reminder to lawmakers that they should look closely at the school lunch program and see what needs to be done. But both the SNA, and the various food advocacy groups I talked to, want a reauthorization, and see it as an opportunity to increase funding. If this pinchpenny Congress doesn’t go for that — or does nothing, which is its favorite answer to all questions — then the law just stands as is. Feeding kids is a way to fight poverty and reduce the burden of food-related disease on the nation’s and our households’ budgets. In 2012, diabetes cost U.S. residents $245 billion, and the cost of obesity was estimated at $168 billion in 2010. 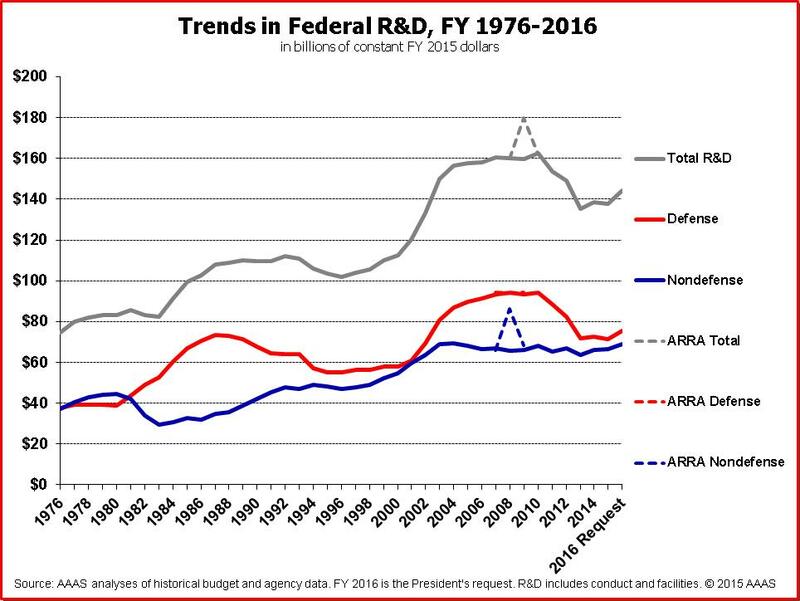 (For comparison, the federal government spends about $140 billion a year on science, research, and development of new technology.) Without good food, kids get diet-related diseases, and they don’t learn as well. This has alarmed both business leaders — who want well-educated employees — and military leaders. In a document called “Too Fat To Fight,” a group of retired generals has argued that diet-related disease is hurting the country’s armed forces. I think I can make the case that what we are discussing today is significant in relationship to national security — and it’s not the Iranian nuclear deal. I think I can make the case that it’s central to the economic competitiveness of the United States in the future — especially against our Asian competitors, and it’s not the Trans-Pacific Partnership discussions that will take place in Congress this month. And I think I can make the case that this is a way in which we can significantly reduce expenditures in health care — and it’s not protecting the importance of the Affordable Care Act from any budget gimmicks that may take place. This is important work. Now, it’s easy to make the case that something needs to be done to reduce diet-related disease. It’s harder to argue that the Healthy, Hunger Free Kids Act is that something. But the general idea looks right on paper: The evidence suggests that if we want to trim America’s waistline, we can forget about the gluten-free fad and concentrate on getting healthy food to the people who might not otherwise eat it. Will we get a reauthorization? “This is one of the last bipartisan issues. And, especially for a new Speaker [of the House] going into a difficult year, I think it behooves Congress to work on an issue that benefits thousands of kids in every district,” Ellen Teller, director of government affairs for the nonprofit Food Research and Action Council, told me. What would better-late-than-never reauthorization look like? One draft proposal would provide money so that needy kids in pre-schools more than eight hours a day could have two snacks and a lunch (right now the government pays for one snack and a lunch). There are also efforts to make it easier for kids to get food over the summer. Teller would like to see some simple fixes to reduce the amount of paperwork kids need to get these benefits, and that organizations need to do to provide them. Groups like the SNA and the National School Boards Association want more wiggle room in the nutritional guidelines, and more money to improve food service. Republicans and Democrats are working together on most of the ideas proposed for the reauthorization. The one sticking point is the question of whether to dial back the nutrition standards. And it’s not all the standards: There are just a couple of very specific challenges that the school nutrition people are having with salt and whole grains. So far, the debate over this act has made it look like a zero-sum game: Do we make it easier for the schools and jeopardize childrens’ health? Or champion health and force schools and kids to bite the bullet of whole-wheat breadsticks? Consider that in France, where the childhood obesity rate is the lowest in the Western world, a typical four-course school lunch (cucumber salad with vinaigrette, salmon lasagna with spinach, fondue with baguette for dipping and fruit compote for dessert) would probably not pass muster under the Healthy, Hunger-Free Kids Act, because of the refined grains, fat, salt and calories. Nor would the weekly piece of dark chocolate cake. Instead of pushing strict compliance, perhaps schools should take a page out of France’s book and teach moderation, while giving students more time to enjoy their food, Murphy suggests. America’s school lunch programs have already improved a lot, and at this point we are down to some relatively small sticking points. If there were any room for compromise on the act’s targets, it might allow a reauthorization bill to pass.